For collapse of Qi and abandonment situations with symptoms such as shortness of breath, shallow breathing, cold limbs, profuse sweating, and a minute or imperceptible deficient pulse. Ren Shen can be used alone for these symptoms, which can occur after blood loss or other conditions that involve fierce fluid loss, such as severe diarrhea and vomiting, or chronic illness. Used for Spleen Qi Deficiency with lassitude, poor appetite, nausea and vomiting, diarrhea, generalized weakness, low or soft voice, abdominal distention, and in severe cases stomach or rectal prolapse. For Wasting and Thirsting (Xiao Ke) syndrome. 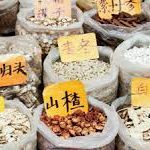 Also for injury of Qi and Yin from symptoms such as profuse sweating and high fever causing thirst and other associated symptoms of 'Xiao Ke'. For Heart Qi and Blood Deficiency due to insufficient Yuan Qi with symptoms such as insomnia, forgetfulness, mental restlessness or mental confusion, palpitations, and dream-disturbed sleep. For Qi and Yang Deficiency causing impotence. Do not use with constipation, parasites, internal accumulation, or in Heat or Fire conditions.